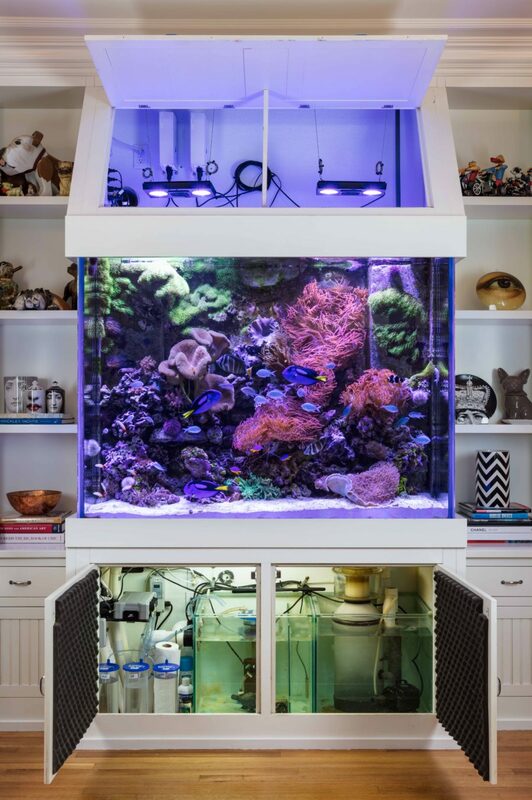 340 Gallon Living Coral Reef - REEF AQUARIA DESIGNREEF AQUARIA DESIGN | Every great room deserves a great aquarium. 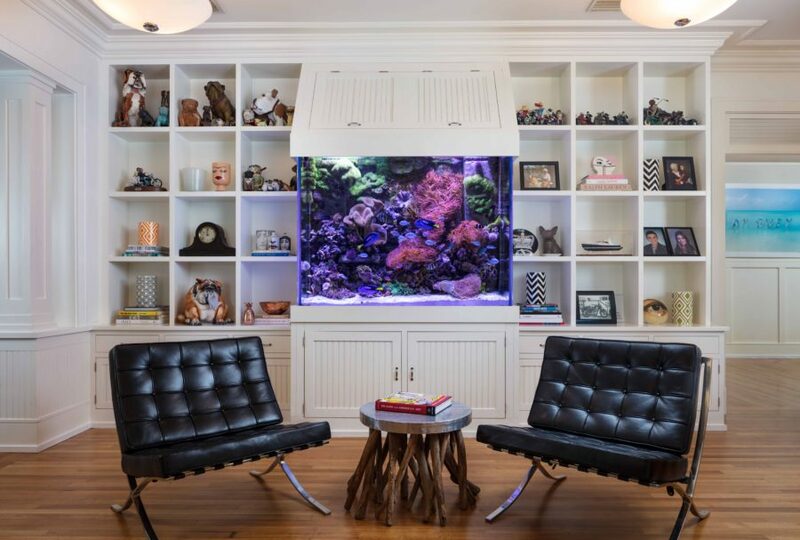 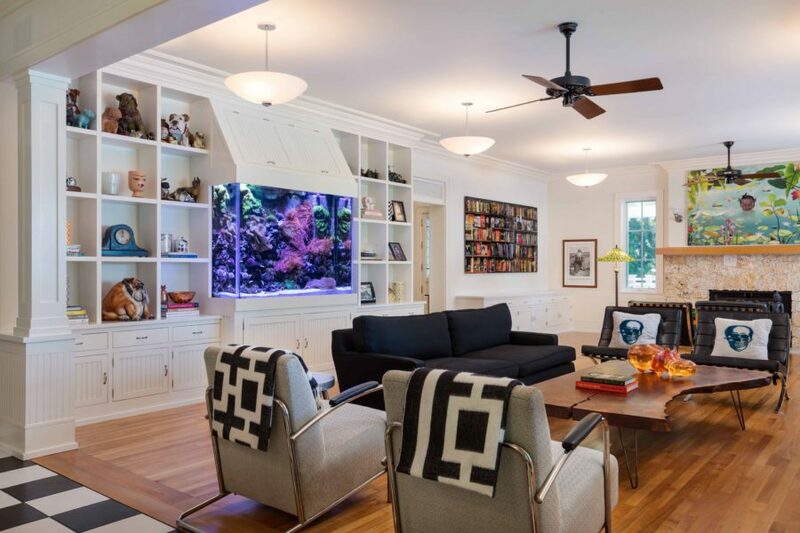 A gift from one client to her husband of decades, this reef aquarium was fast tracked from concept to completion within a month to ensure that the gift was a surprise upon return from a lengthy business trip. 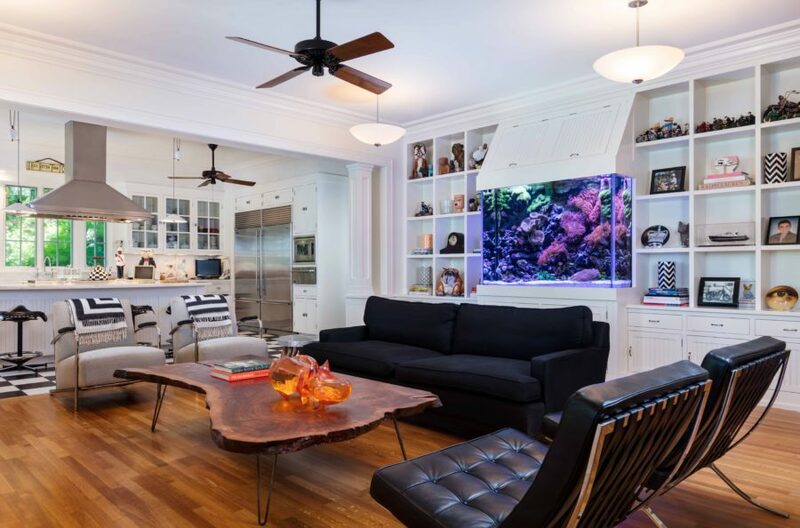 The aquarium design was incorporated into existing casework flawlessly and complements the space perfectly.